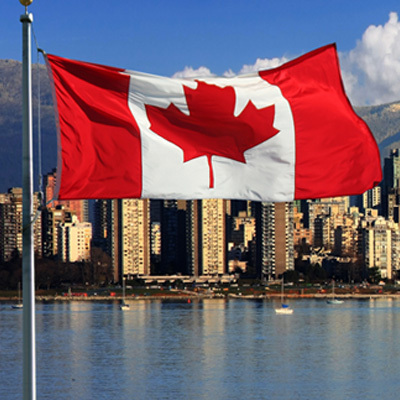 1,936 immigrants hoping to migrate to Canada recieved Invitations to Apply (ITA). In the draw, candidates with a minimum Comprehensive Ranking System (CRS) score of 497 were issued with an ITA. In the latest Express Entry draw held on December 16, 2016, 1,936 Invitations to Apply (ITA) were issued to candidates. In the draw, candidates with a minimum Comprehensive Ranking System (CRS) score of 497 were issued with an ITA regardless of whether they had a provincial nomination certificate or not, unlike in the previous Express Entry draw held on November 30 where only candidates with a provincial nomination were issued with an ITA. This is the second draw to take place since changes to the system were added on November 19, however, it is the first non-program-specific draw since the changes were implemented. Many stakeholders now view it as the first indication of how the distribution of candidates in the CRS may be affected by those changes. These changes included the awarding of points to former international students in Canada and a significant decrease in the number of CRS points awarded for a job offer. It has however been noticed that the number of candidates who may claim points for a job offer has increased. The job offer requirements have been relaxed and will now include many candidates with an employer-specific work permit in Canada, such as a NAFTA work permit or a work permit issued under Intra-company transfers. The Immigration, Refugees and Citizenship Canada (IRCC) expect that one of the outcomes of the recent changes is that candidates without a job offer are now likely to have a better chance of receiving an ITA. The IRCC has gone on record to state that their objective is to “put greater emphasis on human capital, skills, and experience”. The statistics show that from January to September 2016 35% of ITAs were issued to candidates without a job offer or a provincial nomination and the IRCC expects that number to increase over time. Since the Express Entry system was introduced two years ago, program-specific draws have been very rare. So much so, that of the 49 draws that have since taken place, only 2 have made a determination on who may receive an ITA based on a specific program. The IRCC uses the Express Entry program to select candidates for immigration to Canada through the various federal immigration programs. Candidates are able to apply through the Federal Skilled Worker Class, Federal Skilled Trades Class, and the Canadian Experience Class. The candidates who are eligible for Express Entry are required to create a profile that is entered into the Express Entry pool where they are assigned a CRS score which determines their ranking against other candidates in the pool. During the IRCC’s regularly conducted draws, the highest-ranking candidates are issued with an ITA.